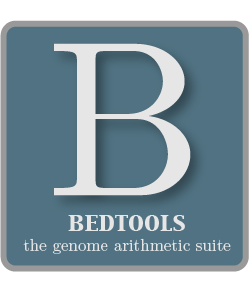 BEDTools is intended to run in a “command line” environment on UNIX, LINUX and Apple OS X operating systems. Installing BEDTools involves downloading the latest source code archive followed by compiling the source code into binaries on your local system. The following commands will install BEDTools in a local directory on a NIX or OS X machine. Note that the “<version>” refers to the latest posted version number on http://bedtools.googlecode.com/. At this point, one should copy the binaries in BEDTools/bin/ to either usr/local/bin/ or some other repository for commonly used UNIX tools in your environment. You will typically require administrator (e.g. “root” or “sudo”) privileges to copy to usr/local/bin/. If in doubt, contact you system administrator for help.